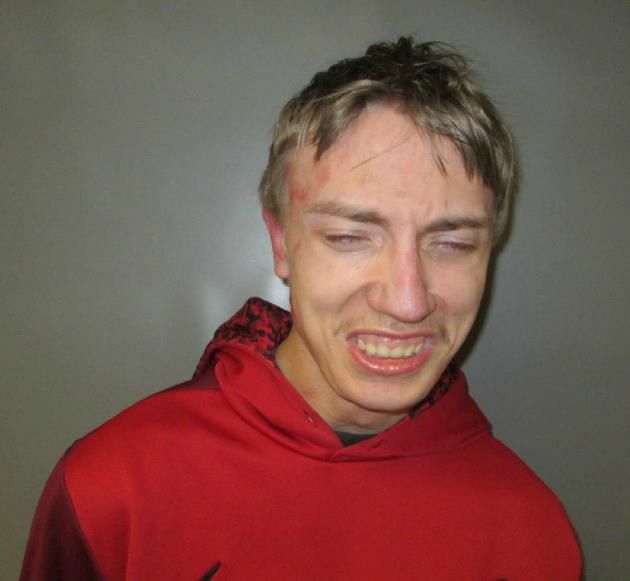 An 18-year-old Lebanon man was arrested, Monday after being questioned at the Kilton Library. Lebanon Police said officers were at the Kilton Library looking for an individual regarding a computer crime investigation. Officers made contact with Jacob J. Seace and while speaking with him developed information that Seace’s cell phone contained evidence of crime. Seace attempted to flee with the phone after police tried to seize it. Officers were able to grab hold of Seace, who resisted, and he was taken to the ground as he continued to resist and handcuffed. Seace was taken into custody and charged with Obstructing Government Administration and Resisting Arrest and Detention. Seace was released on $500 Personal Recognizance bail and he is scheduled to appear in the Lebanon District Court on January 8, 2018. Additional charges may be forthcoming. A Richmond VT man was airlifted to DHMC after he crashed his car into a guardrail while traveling the wrong way on I-91 in Springfield VT. Vermont State Police 52-year-old Troy Collins was traveling south into oncoming northbound traffic for about 10 miles before he crossed the median and crashed into the guardrails as he attempted to enter the southbound lane. Collins attempted to free the vehicle from the guardrail but was unsuccessful. Collins was last seen fleeing the scene into a wooded area adjacent to the roadway. Witnesses reported that Collins exhibited signs of intoxication and several empty liquor bottles were located inside the vehicle. Officers found Collins unconscious about 400 yards from the scene after dispatching a State Police canine unit to the scene. Springfield Fire and Rescue extricated Collins from the woods and he was transported by helicopter to Dartmouth Hitchcock Medical Center. This crash is currently under investigation with numerous charges pending. Congresswoman Annie Kuster a member of the House Committee on Veterans’ Affairs will be in Tilton on Friday. The Congresswoman will be at the New Hampshire Veterans Home to meet with local veterans and celebrate Veterans Day. Kuster will offer remarks honoring the incredible service and sacrifices of Granite State veterans. 1:00 PM. If you want to learn more about the NH Wildlife Action Plan, mark your calendar for Nov. 16th. The Ausbon Sargent Land Preservation Trust and the UNH Cooperative Extension Service will present a program on the action plan. The event will be at the Wilmot Community Center’s Red Barn from 6:30-8:00 PM. You will learn how to use the Action Plan and how your community can use it. The plan includes information and data on the state’s Species of Greatest Conservation Need and the critical habits supporting these species with a map of habitats for the entire state. Amanda Stone, UNH Cooperative Extension Specialist in Natural Resources and Land Conservation, and Haley Andreozzi, the Wildlife Program Coordinator for UNH Cooperative Extension, share important updates on the Wildlife Action Plan. All NH DMV offices will be closed on Friday, November 10th in observance of the Veteran’s Day State Holiday. Massachusetts State Police arrested three Vermont residents on drug charges on Saturday. Police say they stopped Richard Delisle 27, of Richford, VT for an equipment violation just after 1:30 AM on Main Street in Greenfield MA. During the investigation, Trooper Boutell checked the rear seat area for weapons and found an open Folgers Coffee container with a large amount of wax bags in zip lock bags containing heroin. Delisle and passengers Clifford Delisle and Amy Raymond were arrested on scene. Officer Marissa Smith from Deerfield PD arrived to search the Amy Raymond and recovered 14 wax bags containing heroin. A wooden crack pipe and red straw with white powder were also found after Trooper Donah and his K-9 Brutus arrived and searched the vehicle. An inventory of the heroin revealed 560 wax bags containing .02 grams each with a total weight of 11 grams. Bail was set at $10,000 for Richard Delisle and $5,000 for Clifford Delisle and Amy Raymond. They were transported to the Franklin House of Corrections. All three were charged with Conspiracy to violate drug laws and Possession of Heroin. In addition, Richard Delisle was charged with Number plate violation, Loud exhaust, Unlicensed operation of a motor vehicle, Unregistered motor vehicle, Attached plates, Uninsured motor vehicle, and Failure to wear a seatbelt.